There were lots of new and exciting things for me to experience in 2013. At the start of the year I created animation sequences for the feature documentary 1 Way Up 3D (released later this year) and I’m looking forward to seeing it on a big screen. I completed a four-month ‘doodle a day’ project which really tested and explored my attitude to drawing. I started running my Drawing from the Imagination and Drawing Stories courses at Evolution Arts. I was invited to an award ceremony in London to collect a certificate for my work on The Big Draw 2012. I started developing my own comics (much more on that this year). And with author Greg Allum, I published a kickstarter funded book called The Anteater That Didn’t which is currently on display in the front window of Waterstones in Brighton. Add all of that to my music video animation for Kayosoul, running the Stop Motion Saturday course at City College Brighton & Hove and creating more book covers and children’s book illustrations for Pen Press, and there is a lot to look back on. 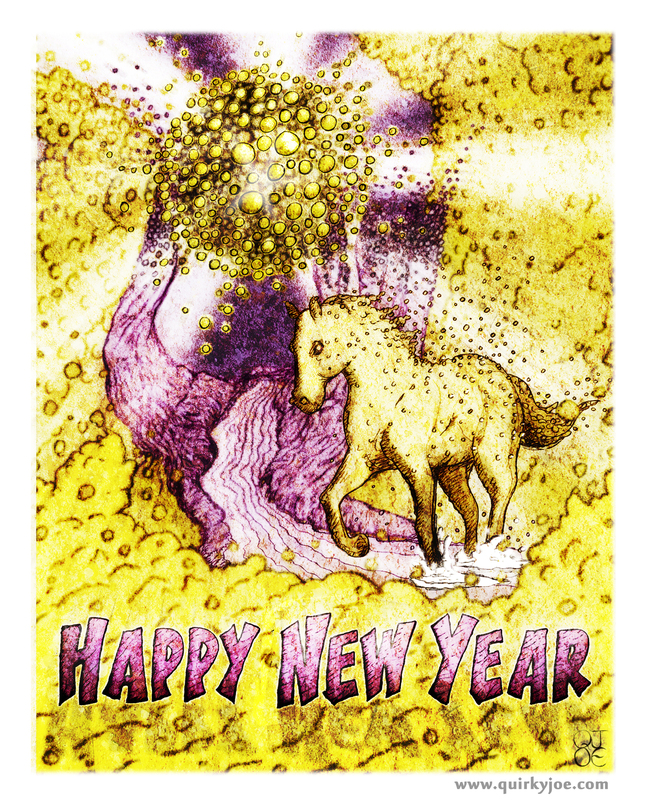 So now we’re into 2014 I’m pretty excited about galloping headlong into new projects. This entry was posted in Illustration and tagged dramatic horse, illustration. Bookmark the permalink.